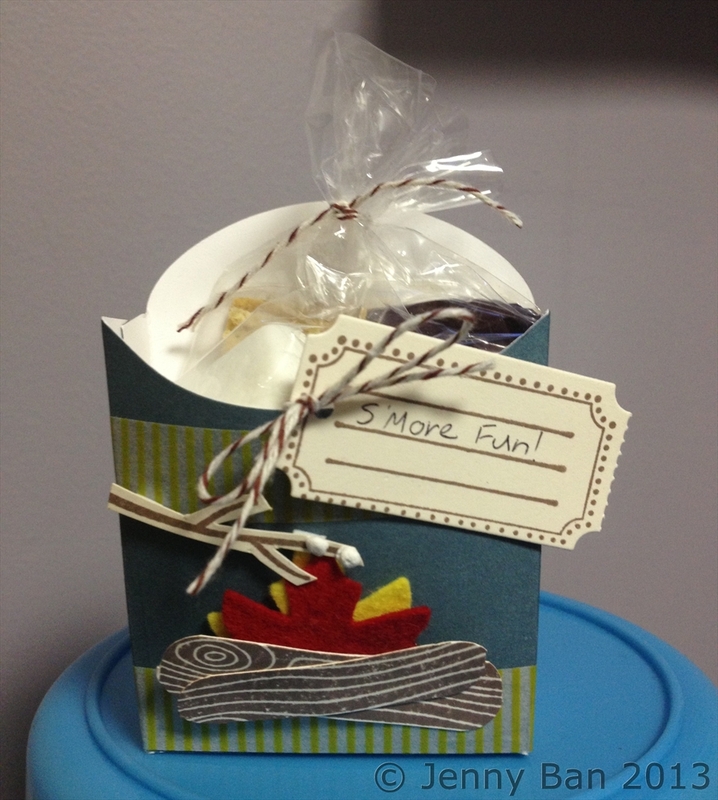 Jenny Ban Creates: Let's have s'more fun! If you are local, please remember to RSVP to my A Muse Studio Holiday Catalog Launch Party, this Saturday, August 31 at 10 a.m. We will be making a fry-box treat with fixin's for s'mores. It features some of my favorite A Muse Studio products--our custom dies, wool-blend felt, washi tape and le pouf!